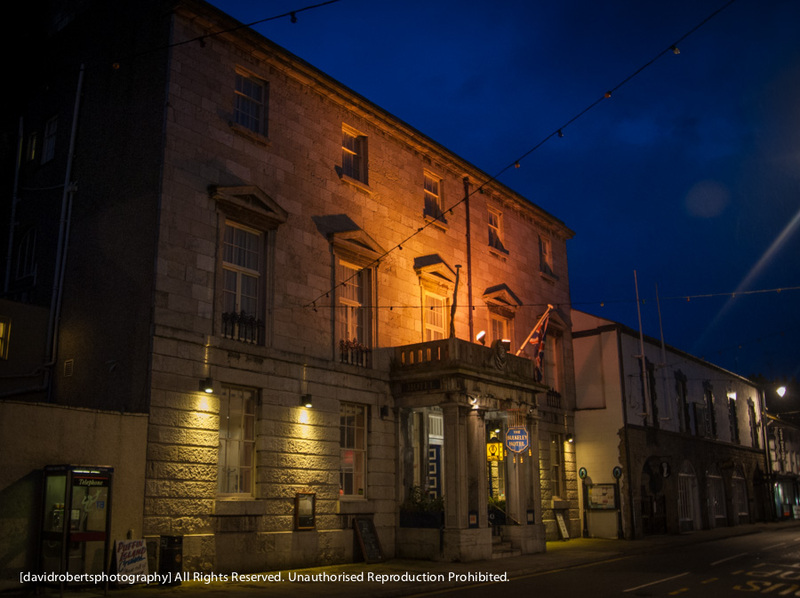 The Bulkeley Hotel, Beaumaris, at night. The hotel was built as a Georgian showpiece in 1832; it was designed by the architect Mr Hansom, and is situated in Castle Street, Beaumaris, Anglesey. In 1832, Princess Victoria stayed at the Bulkeley Arms Hotel, and there have been many other notable guests.